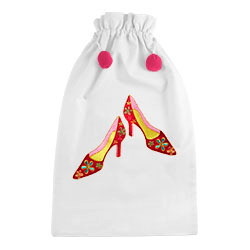 Our embroidered shoe bags are perfect for your dress shoes while traveling to keep the items in your suitcase clean and your shoes together. 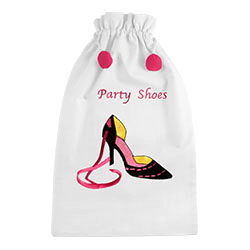 Use them to carry your dancing shoes on your wedding day or at your prom! Perfect for your golf shoes for the day on the green or even your work out shoes for the gym! 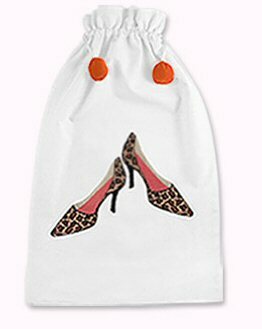 Pack your shoes in our generous 10" x 17" drawstring shoe bags with pompoms. Made of 100% white cotton unless color is specified. Each bag holds one pair of shoes. 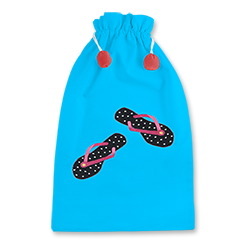 Our flip flops shoe bags are perfect for the day at the beach matched with our embroidered bikini bags. Our bikini bags are 100% cotton with a soft waterproof lining. 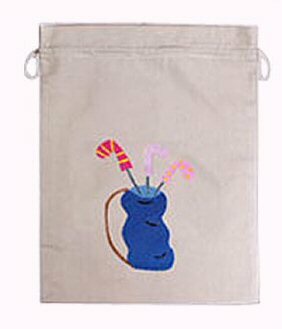 NEW~ a bathing suit bag for men! All of these items are affordable gifts for a wedding party or for yourself! 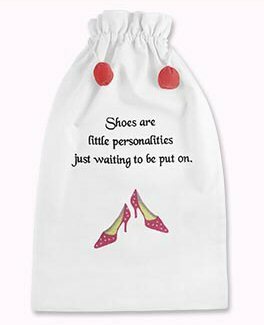 Shoe Bags help you always have the right shoes when you need them! 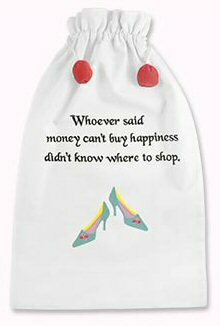 Most women have lots of great shoes but sometimes we are wearing the wrong pair of shoes at the wrong time! 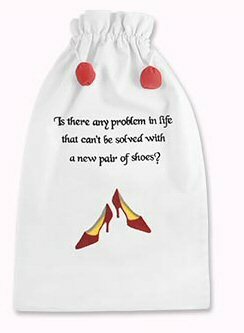 Shoe bags can helps solve that problem. Travel with an extra pair of shoes in your car. That way if you're wearing heels you can change them in a flash to walk around that craft show you just happened to pass by. 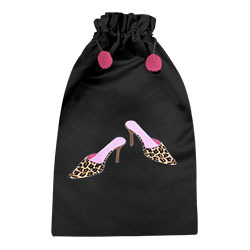 Carry a pair of flats or sneakers in a shoe bag just in case an unplanned walking-situation comes up. If you're like me and live in casual shoes or tennis shoes, keep a pair of dressier casual shoes with you. This can "dress you up" in a moment's notice even if you are wearing jeans. The ideal way of storing these extra shoes is with shoe bags. In addition to being great for that "extra pair" on the back seat, they're an essential for travel, as they'll help keep shoe soles from marking clothes in your suitcase.